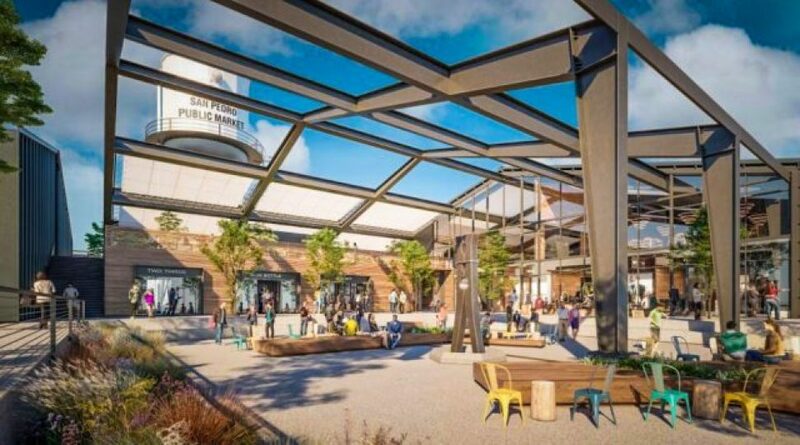 The new San Pedro Public Market. Rendering courtesy of Rapt Studio and James Cornfield Field Operations. After plans were revealed in March of 2016 for the $100 million renovation of the San Pedro’s famed, 30-acre waterfront area known as Ports O’ Call, not many were impressed—including the large portion of Long Beach fisherman and sailors who bounce back and forth between Ports O’ Call and Long Beach. 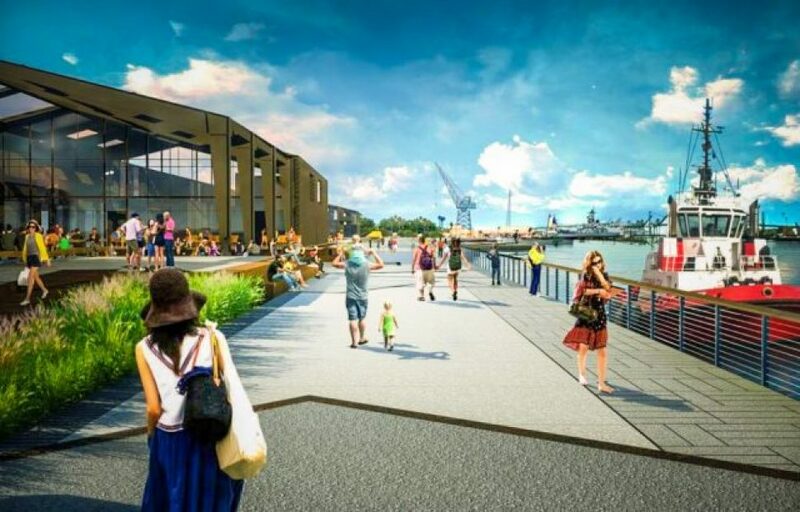 The unveiling revealed stark contrasts to initial proposals, entirely eschewing an homage to the area’s nautical past and instead aiming for a glass-and-metal look with large, steel A-frames that encase massive expanses of retail and restaurant space. An open-air amphitheater to be operated by Nederlander Concerts, the music giant that heads up some of L.A.’s stellar venues, including the El Rey, the Greek, and the Forum. The possible moving of the USS Iowa away from its northern docking slip and into the market space, acting as a direct attraction while also freeing up its former space to attract another cruise line. A completion date of 2021 was set at the talk as demolition of the Ports O’ Call continues this year. 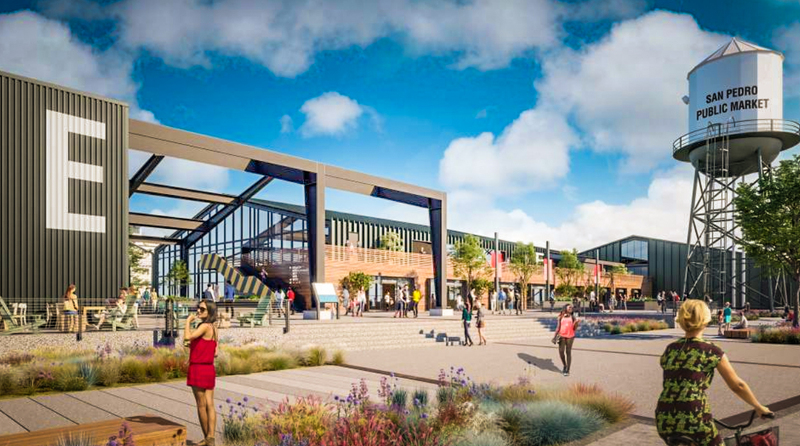 Construction of the first half of the market itself is tentatively scheduled to begin in July 2019, with an opening date targeted in either late 2020 or early 2021. The second phase of the project would break ground in early 2021, with completion anticipated later that year or early in 2022.